PayPal is a common way to donate using a credit card. 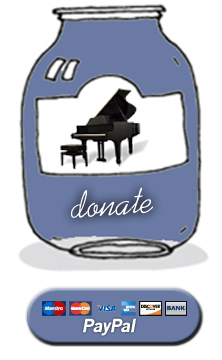 *Note: Any donation would strictly be a gift and is not tax-deductible, but will help get the music to more people. Thanks! Contact me if you'd rather send a check.